avocado and mango salsa. 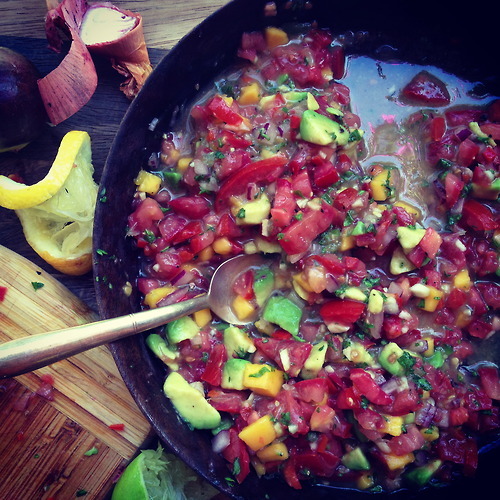 tomatoes, avocado, mango, cilantro, garlic, shallots, red onion, jalapenos, lime juice, garlic salt, sea salt and fresh cracked pepper. Any of the above and anything else you have in the fridge… cucumbers, bell pepper, green onion, lemon juice… you can’t screw it up.